What comes after a $114m exit to Google? For German duo Fabian and Ferry Heilemann, a surprise decision to buy back voucher company DailyDeal and a whole lot of hard work. The brothers’ sprawling office HQ in Berlin is now home to six companies. A gleaming sign above the reception desk listing them all just went up. To the left, a row of framed clippings – the brothers’ recent acquisition of Pepperbill; a snap arm-in-arm with Richard Branson. It’s a golden story, at least until recently. Fabian, 31 (pictured left), and Ferry, 27, started DailyDeal in late 2009. In the two years that followed, with daily deal frenzy taking off around the world, it raised millions of euros in venture capital and grew to more than 200 employees across Germany, Austria and Switzerland. It recorded €10m in revenue in 2011 and a loss before tax of €15m. Google bought the company in September 2011. After fewer than 18 months, following reports of staff cuts and restructuring, and problems at peers Groupon and Living Social, the brothers bought it back. He’s taking a break from working on the group’s 2014 strategy and has limited time to spare. 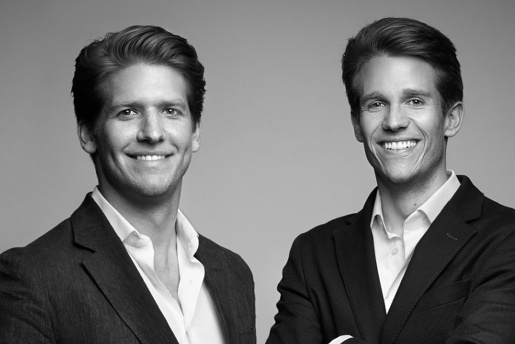 As well as a stripped-back DailyDeal, the brothers are now helping manage Pepperbill (a POS system startup – acquired in September 2013), Localize (online marketing – founded in October 2013) and business agency Heilemann & Company, all grouped under new umbrella company Sky and Sand GmbH in partnership with investment company Heilemann Ventures. It’s part of a plan to make the most of a struggling asset. “When we bought the company back, it was clear we couldn’t keep it at scale and the way it’d been run for the last few years,” Fabian says. For now, the brothers intend to keep the brand and deals business intact but branch out into other types of offers – including, since October 2013, coupon codes, which promise higher profit margins than regular daily deals. ChiChi served its purpose – it proved, while the brothers were still at university, that they could work together and feel comfortable taking risks to chase chances. That led to the decision, eight years later, after Fabian finished law school and Ferry finished business school, to become full-time entrepreneurs. The simple exit story no longer applies but what comes next may be more interesting. Google recently signed up as a partner of Localize. Heilemann & Company and Sky and Sand are bringing on board members and a new chief technology officer, Thomas Boltze. Heilemann Ventures, now up to about 15 portfolio companies, is narrowing its focus to business tools and online commerce and writing larger cheques than when it started. It’s not that different, Fabian says, to what they’d be doing if they hadn’t bought back DailyDeal. “We would probably have raised a VC fund for Heilemann Ventures. And we would probably also have started a completely new business,” he adds – likely something to do with SMEs.